Californians, especially California's Senior 65+ population currently receiving Medicare benefits, may want to take note of provisions in the newly released Healthy California Bill (SB 562). 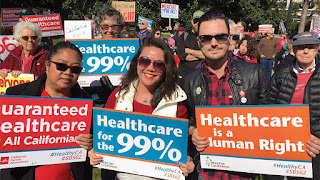 (6) It is the intent of the Legislature to enact legislation that would establish a comprehensive universal single-payer health care coverage program and a health care cost control system for the benefit of all residents of the state. (2) It is the intent of the Legislature for the state to work to obtain waivers and other approvals relating to Medi-Cal, the state�s Children�s Health Insurance Program, Medicare, the PPACA, and any other federal programs so that any federal funds and other subsidies that would otherwise be paid to the State of California, Californians, and health care providers would be paid by the federal government to the State of California and deposited in the Healthy California Trust Fund. Item 4 specifies that Medi-Cal CHIP, PPACA (ObamaCare or future TrumpCare) and Medicare would be replaced and merged into the Healthy California Plan. Item 6 is a bit disconcerting. "[that] the multiple sources of funding be pooled with other HC program funds and not be apparent to HC program members or participating providers". 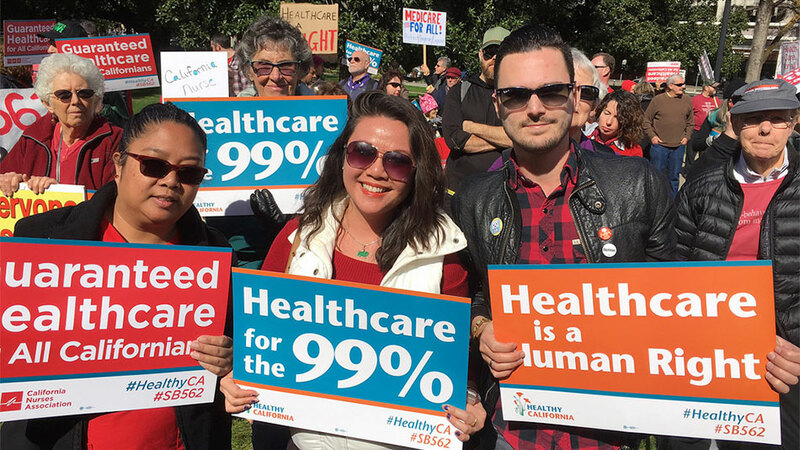 It appears that the Healthy California Act (SB 562) would corral every California resident not covered by an employer health plan and place them on a single payer state-run health plan to include Medicare beneficiaries 65 and older.